What's New? 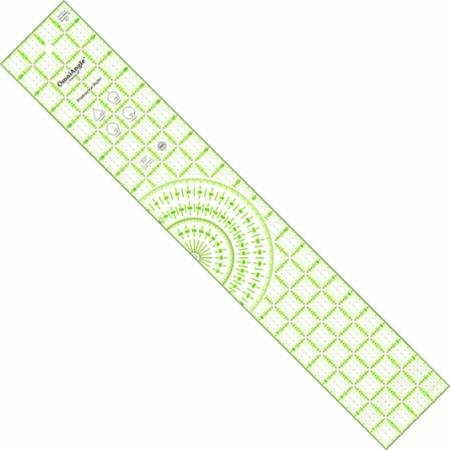 > Ruler- Omnigrid Protractor 4" x 24"
Ruler- Omnigrid Protractor 4" x 24"
A versatile ruler that includes all of the basic Omnigrip product line features plus it's a protractor. Draw and cut any angle and create circular quilt and crafting designs. Use when prattern drafting.